Workplaces and private residential homes have recognized the benefits of professional window cleaning. Remember that cheap window cleaning companies will probably not be the best window cleaners. Reliable window washing companies use highly specialized equipment to clean windows quickly, thoroughly, and their techniques will keep windows cleaner longer. Window cleaners will often offer further services, like gutter cleaning, window defogging, skylight cleaning, and even repairing window screens or re-screening your windows. Can’t just about anybody wash and clean windows? Locating a qualified window washing business is really not that different than locating a qualified electrician or plumber. Many window washers do not have the proper training, and they also use cheap cleaning agents and tools. Also an unqualified window washer does not only do a below average job, but this worker can cause thousands of dollars in damage to your house. Incorrect use of window washing tools can scratch the surface of your windows and it can ruin the seals that are essential to the insulation factor of your windows. This results in the need to replace your windows. One of the first things to think about with window cleaning companies is – can I trust them inside my home? No one would let a stranger in the house without an assurance that the person is trustworthy, so why would you want to let an unknown window washer into your home? The safety of yourself and your property should be the number one when selecting a window washing business. Make sure that your contractor has a confirmed reputation in the community. You can also ask them to provide local references or even testimonials. Selecting a contractor who is backed by an established company will also help guarantee a high level of accountability. Secondly, window cleaning is not as simple as it may seem at first. It can actually be surprisingly frustrating. It takes very little to get it wrong-the wrong window washing solution, the wrong fabric, the wrong wiping pattern, the wrong squeegee method, the wrong angle of the sun-sometimes it can almost seem impossible to get glass clean and clear. 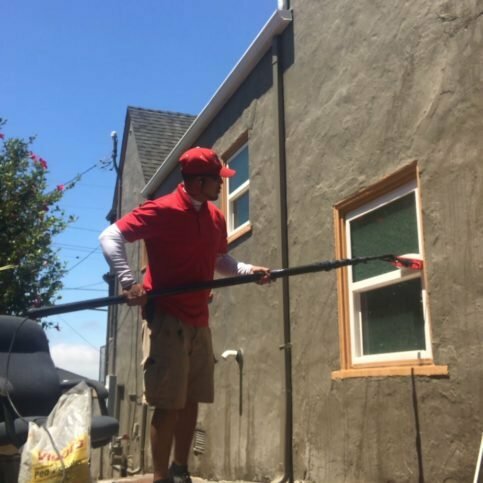 You can bypass the window washing frustrations by hiring window cleaning specialists in Alameda County that serve the major cities such as Oakland, Fremont, Hayward and Berkeley, as well as the smaller town like Albany, San Lorenzo and Union City. These professionals use perfected methods and specialized equipment; and therefore, they are able to leave windows streak-free for a much longer time than the average cleaning. The main reason some window washers are more successful than others at windows cleaning is simple – they have extensive experience. The best Alameda County companies at cleaning windows will have experience washing windows of many types and will know how to access them. They will also be experienced with which window cleaning tools and methods work the best and how long it will take to clean windows for a house or office building. Some wear and tear on your windows will be unavoidable, and many Alameda County window cleaning experts are capable of correcting it. Their services may extend to restoring windows and glass for scratched glass, spotted or stained glass, and calcium deposits that result in that ugly white residue. These specialists can many times defog windows such as the double pane windows that get moisture trapped in between the panes. When you realize how helpful it can be to have professional window washing services working for you, you can arrange a regular maintenance schedule for monthly or yearly window cleaning services in Alameda County. There are also extra services offered when deeper cleaning is necessary. Professional window washers will scrub window frames, tracks, and sills. Some specialists in window cleaning will offer discounts for post-construction window cleaning, and may even be able to provide additional related services, such as spot cleaning, window screen repair & door screen repairs, which is sometimes called rescreening. Besides a lack of experience, another issue involved in personal attempts to perfect glass cleaning is inferior equipment. 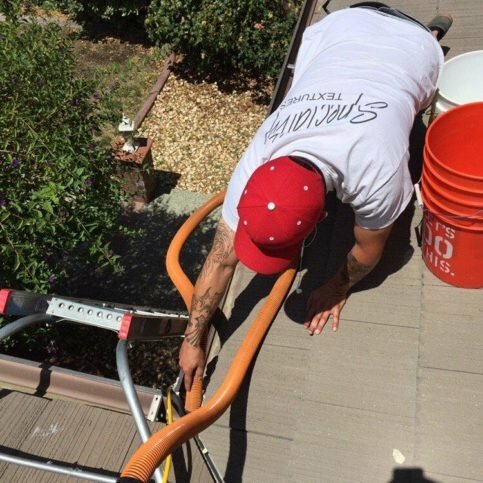 Window cleaning specialists in Alameda County have advanced equipment to further their cleaning power. These experts are a long ways from Windex and paper towels. 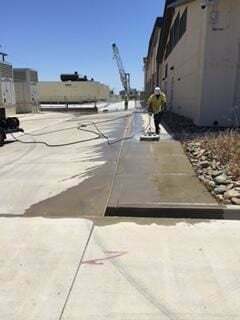 Their expert equipment will include: ladders and access poles for those difficult-to-reach parts, squeegees for floors and windows, pressure cleaning for window washing, special scrapers, microfiber cloths, and industrial strength stain and spot removers. Before hiring a professional window cleaner, make sure they have invested in quality tools and keep them in good condition. You also should ask if the company’s employees have received the proper training. If you wouldn’t select an electrician that did not have the proper tools or training, then don’t make the same mistake with your window washer. With numerous window washing companies out there, make sure you take the time and effort to search for the perfect window washing company for you. Make sure that you find the best service provider that takes window cleaning seriously. Also check the quality and the experience of the window cleaning companies. 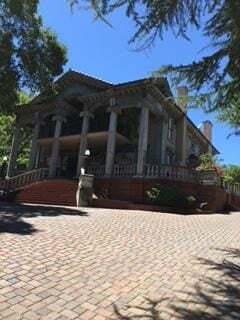 Be selective in making your decision because you want only the best Alameda County window cleaning company in your home. Why Trust Diamond Certified Window Washing Companies Rated Highest in Quality? 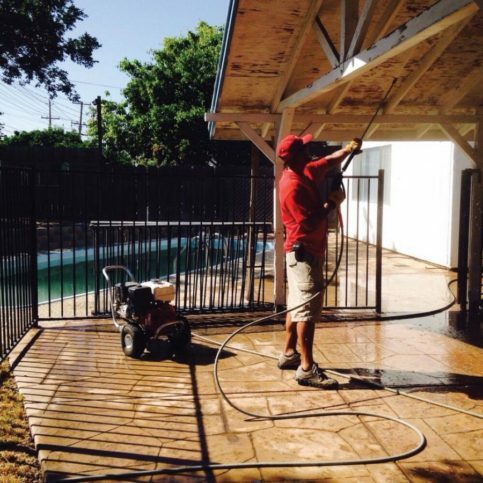 Jose Barajas is owner of Maintenance Agents, a Diamond Certified company. He can be reached at (510) 228-4569 or by email. A: Talk radio, especially The Armstrong & Getty Show. A: Definitely the future, because I’m interested to see how far technology goes. Video: Power Washing: Is it a Good Idea? Maintenance Agents also offers paint stripping services. 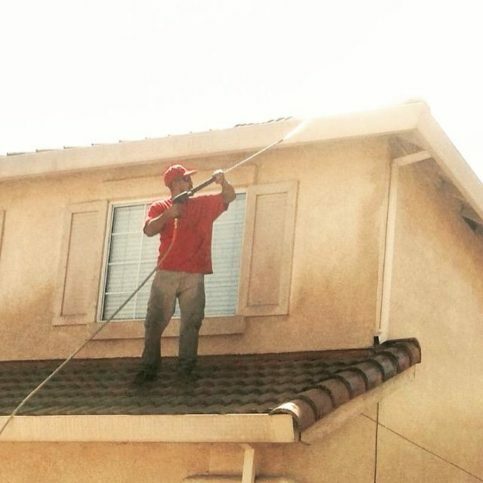 A Maintenance Agents technician cleans a clientÛªs gutters. Once you are ready to hire an Alameda County window cleaning service in the major cities of Alameda, Union City, Pleasanton, Newark, and Dublin , it is important to know what you want. Unfortunately, many cleaning companies are less than professional and do not meet the standard of window cleaning required. Use the questions below to help you determine what you really want from a window cleaning service and you are almost guaranteed to find the most reliable and trustworthy window cleaning company. The benefits will be well-worth it! Do I want a Diamond Certified window washing company in Alameda County that is rated best in quality and backed by the Diamond Certified Performance Guarantee? Do I want an Alameda County window washing company that provides its own cleaning supplies and equipment? Do I want a reputable window washing company that is fully insured and bonded? Do I want an Alameda window cleaning company that uses environmentally friendly cleaning supplies? Do I want a company to provide cleaning services on a regular basis or on a one-time basis only? What windows do I want cleaned? What is my budget for window washing services in Alameda County? Can the window washing company remove mineral deposits, stains, and paint overspray when cleaning the windows? What additional services does the window cleaning company have? Can the window washers clean and repair window screens? How long will it take the Alameda County window cleaning company to finish the job? What chemicals do the window cleaning professionals use or do they use chemicals? Are the window cleaning solutions safe, pet-friendly, and child-friendly? Do the window cleaners do their window washing alone, with a crew, or subcontractors? Do you have any specials for new customers? It’s best to choose a Diamond Certified window cleaning company because all certified companies have passed an in-depth ratings process that most other companies can’t pass. 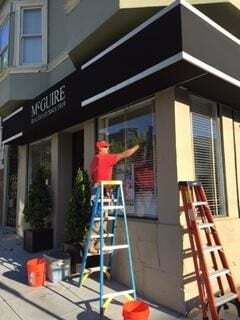 If you want quality from a window washing professional in Alameda County and the greater Bay Area including the cities of Alameda, Union City, Pleasanton, Newark, and Dublin, you can have confidence choosing a Diamond Certified company. Diamond Certified reports are available online for all certified companies. And you’ll never be fooled by fake reviews. That’s because all research is performed in live telephone interviews of actual customers. If you can’t find a Diamond Certified window washing company within reach, you’ll have to do some research on your own. If you do, it’s wise to call some references provided by your window cleaning professionals. Keep in mind, though, that references provided to you by the window cleaning company are not equal in value to the large random sample of customers surveyed during the Diamond Certified ratings process. That’s because references given to customers from companies are cherry-picked instead of randomly selected from all their customers. So the contractors will likely give you a few customers to call that they know are satisfied. 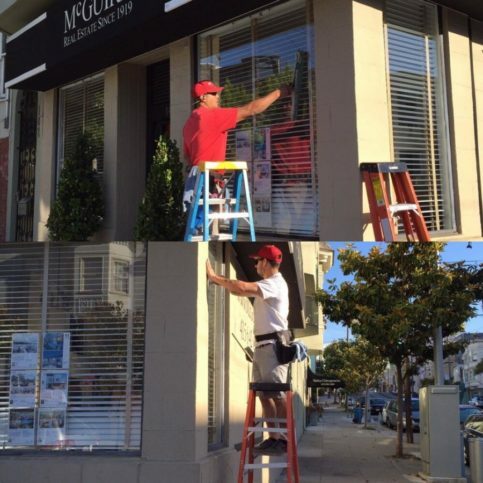 What window cleaning services did _(Alameda County window cleaning company name_) do for you? Were you satisfied with the window cleaning services from this Alameda County window cleaning company? Did the window cleaning company listen to and communicate with you? Do you feel the price was fair for the window cleaning services you had done? What did you like best about this particular Alameda County window cleaning company? Would you go back to this window cleaning company for future window cleaning services? Would you/have you recommend this window cleaning company? Your choice of window cleaning company is an important concern. More expensive companies do not necessarily offer better value. On the same token, cheaper companies may not provide the service that you want. It’s important to understand that every window cleaning service will perform the window cleaning a little differently. Some will be able to customize their approach to your needs a little better. Ask for a specific cleaning checklist of exactly what your window cleaning will include. Also, if you are using window cleaning company for cleaning maintenance, be sure to ask whether all of the tasks will be performed with each cleaning service, or is certain tasks will be rotated. Before deciding on the best window cleaners in Alameda County for you, it’s important to consider the following questions. What does the window cleaning company offer that is specific to my needs? Is the local window company bonded and insured? What are the billing practices of the window washing business? Can a window cleaning company in Alameda County provide your requirements for scheduling and customer service? Is the window cleaning company devoted to your satisfaction? 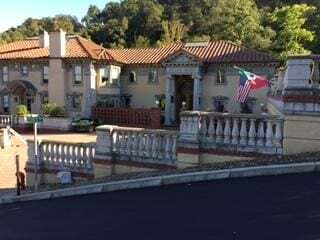 Once you find a local window cleaning company in Alameda County, including the larger cities of Oakland, Berkeley, Fremont, Hayward and San Leandro, that meets all your standards, it is time to ask for a written contract. This contract should include the written details about the price of the window cleaning, as well as the date when the job will be done. Be sure to read and understand all the terms and restrictions before you sign the contract. This contract should protect your home or business and your interests, as well as those of window cleaning company. Because of this, you should never sign an incomplete estimate. Do not be afraid to write specific requests or verbal agreements in the contract. This will protect you and confirm that you get the services you agreed on. You might include issues that are not always in a contract, like window or glass damage from cleaning the windows. How Can You Be a Good Window Cleaning Company Customer? It’s the window washing company’s responsibility put in quality window washing using the best possible cleaning techniques. But you play a big part in the success of your window cleaning, too. Here are a few simple steps you can take to be a good customer when hiring an Alameda County window cleaner. Be clear and upfront with the Alameda County window cleaners you’ve hired. Let them know what you want from your window cleaning, the long-term outcome you’re expecting and specific ways they can satisfy your expectations. Before you hire a window cleaning company in Alameda County, restate your expectations and goals, and reiterate to the window washing representative your understanding of the agreement. Most problems with local window washer occur because of a breakdown in communication. By being clear about your expectations and theirs, you can avoid most conflicts. Ask your window washing specialist if you should call to check on the progress or if he will call you with updates. Be sure your service representative has a phone number where they can reach you at all times while they’re window cleaning. The work will move along more smoothly if your window washing company can reach you for any necessary updates, questions or work authorizations. When your contractor contacts you, return calls promptly to keep the window washing on schedule. Pay for the window cleaning work promptly. Why would you want to be a good customer? Window washing in Alameda County appreciate customers who are straightforward, honest and easy to work with. Your good customer behavior sets the tone from your end and creates an environment conducive to a good relationship. Things may very well go smoother and any problems may be more easily resolved. The name and physical address of the window cleaning company. A list of all work completed, including warranty repairs done at no charge. An itemized list of all replacement parts. This should state whether the parts installed were new or reconditioned window parts. The total cost for your window cleaning, including the amount charged for labor. Any applicable warrantees provided by the window cleaning manufacturer or the window cleaning company. It is wise to compare the completed window cleaning work with what was written on the invoice. Ask your window washing company representative to walk through the job site and show you the cleaning or repairs. Check what was done against the invoice. During the walk-through, ask if there are any special instructions for maintaining your windows. If you have any questions about the work that was done or the materials used, now is the time to ask. The Alameda County window washing business’s name and physical address. 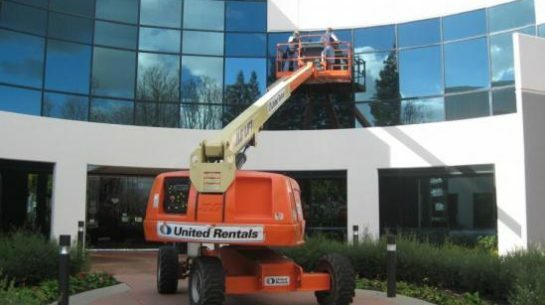 Window washing companies in Alameda County provide many cleaning services. However, some services are more common than others. The following are the most familiar requests for local window cleaning shops in Alameda County, including those in Hayward, San Leandro, Berkeley, Oakland and Fremont and the surrounding areas. Professional window washing equipment includes: ladders and access poles for those difficult-to-reach parts, floor squeegees, window squeegees, pressure cleaners for window washing, special scrapers, microfiber cloths, and industrial strength stain and spot removers. A cleaning solution used to wash windows. Window washing services that use highly specialized equipment to clean windows quickly and thoroughly. Their techniques will keep windows cleaner longer. Window cleaning services will often offer further services, like gutter cleaning, window defogging, skylight cleaning, and even repairing window screens or re-screening your windows. A homemade or professional formula that is used to wash windows. A t-shaped implement that has a crosspiece that is edged with rubber or leather. This is drawn across a surface to remove water in window washing. Professionally maintaining the cleanliness of windows, mirrors and other glass services of a home. Window washing services that use highly specialized equipment to clean windows quickly and thoroughly in high rise buildings. Professional window washing supplies includes: ladders and access poles for those difficult-to-reach parts, floor squeegees, window squeegees, pressure cleaners for window washing, special scrapers, microfiber cloths, and industrial strength stain and spot removers. Below are key window washing company terms and descriptions that will help you navigate your way through your window washing service from start to finish. A measured distance that is between the inner surfaces of the two glass pieces in an insulated unit. Type of window that has two vertically moving sashes, with each sash employing balances. Cleaning the exterior surfaces of windows in homes and businesses. Any of a large class of materials that have a highly variable mechanical and optical properties that solidify from a molten state without crystallization. The process of installing glass or some other glazing materials, like plastic, into a window or a door. Cleaning windows using environmentally friendly cleaning supplies. Type of window that has no operating parts. It simply has a frame and glass. The non-operating panel that is in a sliding glass door. A light of glass made up of two sheets of glass, a spacer bar that is filled with desiccant material placed between the two sheets at the perimeter, and a sealant applied around the perimeter of the assembly. Cleaning the interior surfaces of windows in homes and businesses. Sides or outermost vertical side members of a door or window frame. A window cleaner that simultaneously cleans the inside and outside of a window which cuts cleaning time. Powerful magnets hold both sponges in place while you clean so that what you clean inside is also cleaned outside. Professionally maintaining the cleanliness of windows, mirrors and other glass services in homes and businesses. The process of cleaning windows using water fed poles and water purification systems for spot free window cleaning without a squeegee. Product that is used with a window or door. It consists of a four-sided frame that surrounds a mesh of wire or plastic material that is used to keep out insects. A T-shaped implement that has a crosspiece edged with rubber or leather. It is drawn across the surface to remove water. Attach to or over the prime window. These can be called secondary windows. Type of window that employs an insulating material in the sash and frame members to reduce the flow of heat inward or outward. A telescopic pole that is fitted with a brush and a means of delivering water for window cleaning. A part of a window or door that is used to seal the cracks around moving sash or panels against air or water passage, when the door or window is in the closed position. Q: Why choose a Diamond Certified Window Washing Company? A: Diamond Certified helps you choose a window washing company with confidence by offering a list of top-rated local companies who have passed the country’s most in-depth rating process. Only professional window cleaners rated Highest in Quality earn the prestigious Diamond Certified award. Most companies can’t pass the ratings. American Ratings Corporation also monitors every Diamond Certified company with ongoing research and ratings. And your purchase is backed by the Diamond Certified Performance Guarantee. So you’ll feel confident choosing a Diamond Certified window washing company. Q: Can windows that appear foggy be cleaned? A: The seal may be broken if the fog lies between two separate window panes. It could not be cleaned. You could contact the window manufacturer to see if you windows have a current warranty. Q: Can paint and varnish be removed from windows? A: Window cleaners can usually safely remove material like paint, varnish, caulk, concrete, stucco, stickers and sheet rock from off the windows. This type cleaning (sometimes considered a construction clean) takes longer and isn’t typically included in a normal estimate. A: Windows should be cleaned a minimum of two times a year. Cleaning twice a year will prevent glass degradation and will maintain your windows’ luster. Q: Do professional window cleaners make a lot of noise? A: Certain cleaning services may make a lot of noise, like pressure washing, but other cleaning services, like window cleaning, make very little noise. Q: Does the rain make the windows dirty again after they have been cleaned? Q: Do my curtains need to be taken down before my window washer arrives? A: Any help is always welcome, but it is not necessary. It will simplify the process though, and many customers will prefer to help out, especially with the removal of window grids. Most technicians can work around most anything in the house! Q: What is the best time of the year to have windows cleaned? A: There is not a bad time to have windows cleaned. Many times people are concerned about having their windows cleaned during the winter months because of the possibility of rain; however, rain isn’t a concern, and winter months are as good of a time as any to clean windows. One of the best times to have windows cleaned is when they are dirty! Q: What is glass degradation? A: Over time, glass may become permeated with contaminates like oxidization, hard minerals, acid rain, and overspray. Cleaning your windows professionally twice a year and spot cleaning the rest of the year will keep windows bright and shiny.